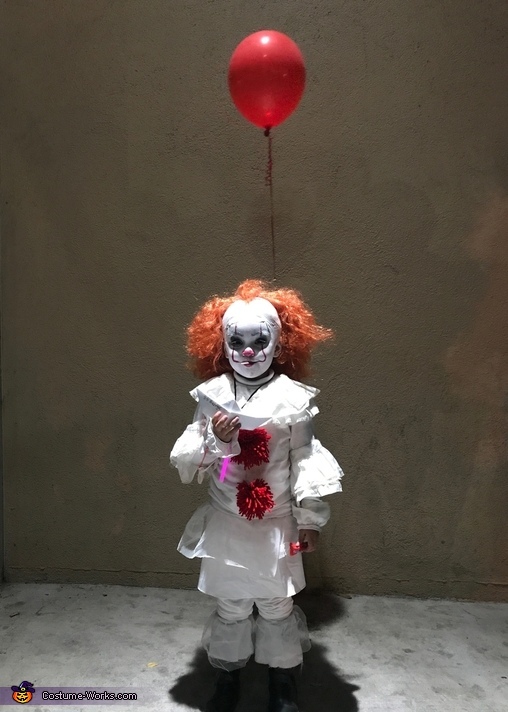 My 4 year old daughter Bellarose hasn't seen the movie but viewed the trailer to the new IT movie and fell in love with the character. Didn't want to be anything else but IT. Hand made her costume last minute and it came out pretty well. Couldn't go door to door trick or treating without being stopped and asked for a picture.